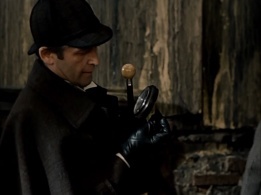 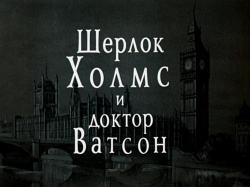 Sherlok Kolms i Doktor Vatson: Krovavaya Nadpis (Sherlock Holmes and Dr. Watson: Bloody Inscription) is a Soviet TV movie produced in 1979 by Lenfilm Studio starring Vasily Livanov (Holmes) and Vitaly Solomin (Watson). 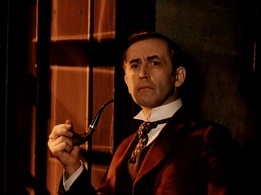 Aired in 1980. 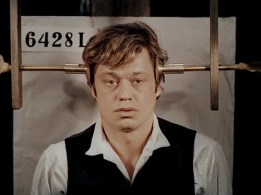 66 minutes. 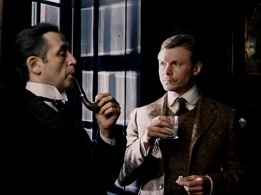 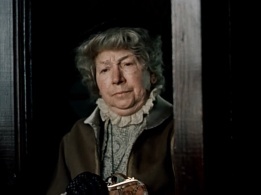 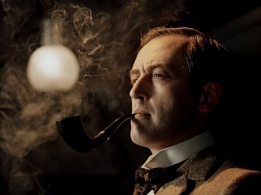 This is an adaptation of the Conan Doyle's novel: A Study in Scarlet. 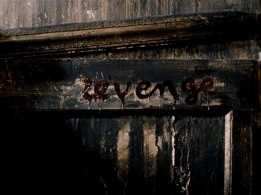 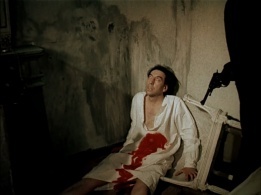 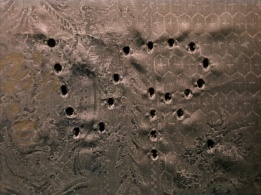 The bloody inscrition is the word Revenge (Rache, the german word, in the original story) written on the wall. 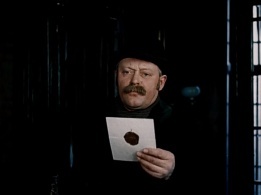 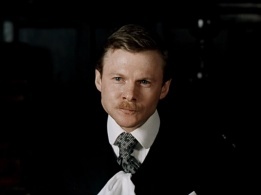 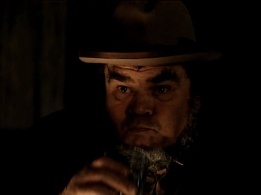 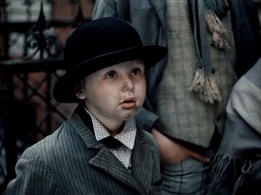 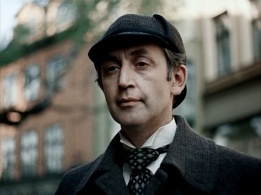 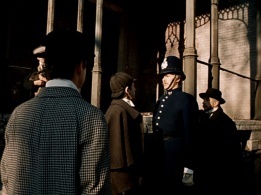 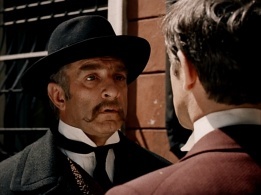 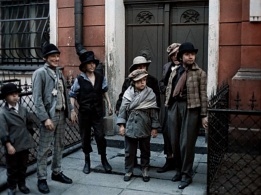 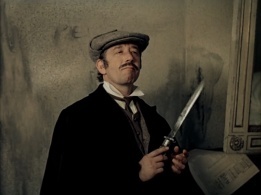 The young irregular in front of Baker Street is played by Boris Livanov, the very son of Vasily Livanov. 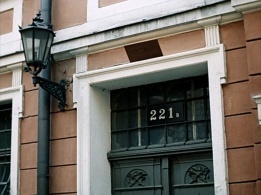 This page was last edited on 25 August 2016, at 22:37.